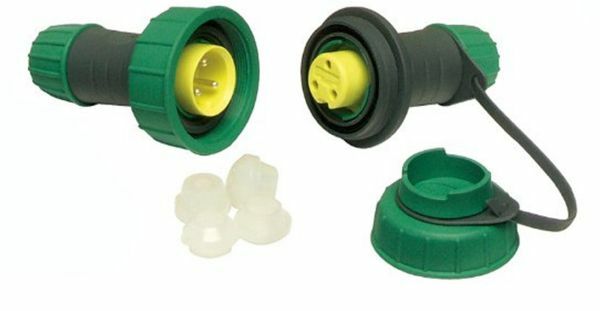 The Powersafe Plug & Socket is the ideal way of joining, extending or repairing an outdoor 230 volt electrical cable. The male and female sections can be unscrewed from one another, allowing you to easily remove the electrical item if desired. Items such as pond pumps, ultraviolet clarifiers or power tools can be connected easily and the joint is completely weatherproof. 12V DC devices such as Solar Panels and OASE Aquarius Solar Pumps can also be connected together using the Plug & Socket. Suitable for repairing or extending electric cables in the garden. Accepts 2 or 3 core AC and DC cables. Minimum outer cable diameter of 4mm / Maximum 9mm. Easy to follow wiring instructions. Weatherproof (not for underwater use). If you require an underwater cable joint, please view the OASE UKK1K Underwater Cable Connector.